In May this year, nearly 120 third grade students at a primary school in Hohhot city of Inner Mongolia Autonomous Region were sent to a local “admonitory education base,” where they were given anti-religious education. The personnel at the base forced the children to watch videos with violent content to condition them against religion. The children were given propaganda leaflets and told to memorize them. They were also encouraged to report believers they know. An anti-religious education base in Inner Mongolia. In another primary school in Hohhot, every class was ordered to hold a meeting to denounce religion. At the meeting, teachers told students that Protestantism, Catholicism, and other faiths are xie jiao (heterodox teachings). In one class, the teachers even forced the young and impressionable students to utter curses against religious belief. However, this is not just about anti-religious propaganda for the CCP. They are also registering every child’s religious status. In late September, a middle school teacher in the Liaoning’s Anshan city used a WeChat group for parents of students to warn against religious belief. He uploaded a statistical investigation table inquiring about religious status of the school’s teachers, students, and parents. He also said that practicing faith could impact their possibilities to enter the next grade and as a consequence, their prospects in life. 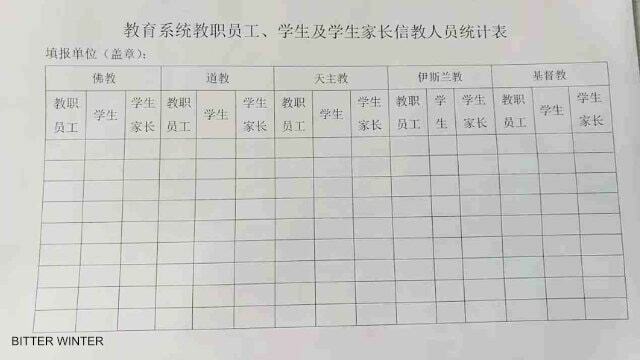 The statistical investigation table inquiring about religious status of the school’s teachers, students, and parents in a school of Liaoning’s Anshan city. 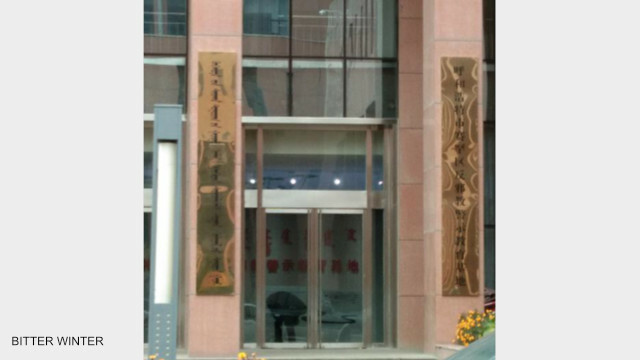 Similarly, a kindergarten teacher from Anshan sent a letter to parents demanding them to inculcate atheism in their children and prohibit them from participating in any religious activity such as wearing clothes with religious symbols, reading or writing religious quotations, listening to religious broadcasts, donating to places of worship, and so on. The parents were also required to acknowledge the message by returning the signed letter. 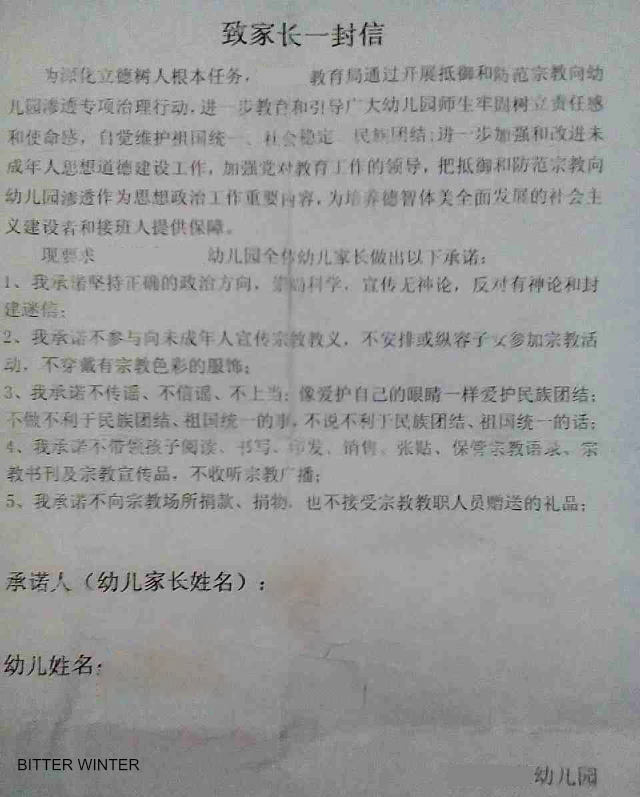 The letter sent by a teacher to the parents of children at a kindergarten in Anshan.